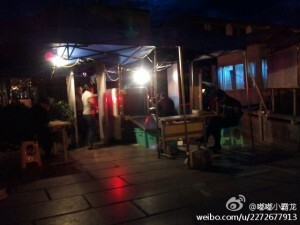 The above photos are all taken from Sina Weibo. 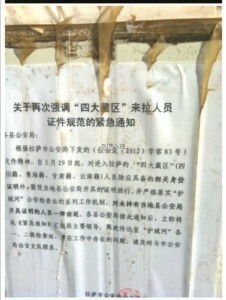 Picture 1 shows the “urgent notice to once more emphasise the regulations directed at people from the ‘four main Tibetan regions’ who want to enter Lhasa” issued by the Lhasa Security Bureau. 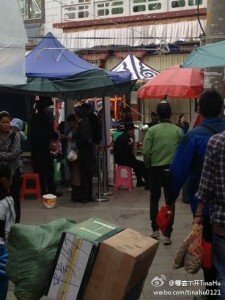 Picture 2 shows the security checks located in a Tibetan residential area in Lhasa’s old town. Picture 3 shows the checkpoint at Jokhang Temple, the place of worship for Tibetan people. 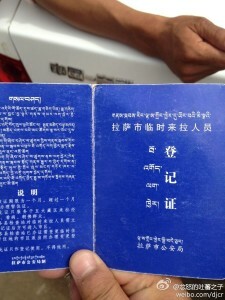 Picture 4 shows the “Lhasa registration certificate for a temporary stay in the city”; Tibetans say that “one not only needs to obtain a certificate, one also needs a guarantor and from the beginning to the end one is monitored and required to be ready to report or be subject to security checks”. Like many Tibetans, we all think that ethnic segregation is something far away from ourselves, that it only existed 70 years ago during the Nazi era or 20 years ago in South Africa, or in the Gaza Strip in which the Israelis seal off Palestinians. Like many Tibetans, we never thought that in today’s 21st century, we would experience the fear of such ethnic segregation. On May 27, after two Amdo Tibetans, who had been doing temporary work in a restaurant in Lhasa, self-immolated in front of Jokhang Temple, the Lhasa Security Bureau issued an “urgent notice” to all county security bureaus, stating that “from May 29 onwards, all persons from the ‘four main Tibetan regions’ (Sichuan, Qinghai, Gansu and Yunnan Provinces), in addition to necessary ID cards, need a special permit issued by the county security bureau in order to enter Lhasa” and “that all those who do not have such a special permit have to be urged to return home without exception”. Besides, security checkpoints on all levels have commonly been named “city moats”, precisely according to the wording of the “urgent notice”, namely that there are “‘city moats’ encompassing level one and level two security checkpoints”. City moats are a characteristic of ancient Chinese city designs, existing to prevent the invasion of foreign enemies; they are moats excavated by humans that are then filled with water, forming a man-made river serving as a protective screen of the city walls. Of course, this is not unique to China, other ancient countries also dug out city moats, many European fortresses even built wooden bascule bridges across their moats, which facilitated entering and exiting and could still prevent enemies from invading. In a nutshell, city moats are a defence structure built for military purposes. Today, the many security checkpoints at the entrances to Lhasa are described as “city moats”, but the people they are trying to prevent from entering are not at all Han Chinese, in fact, they can normally enter by simply showing their ID cards. Just like the “urgent notice” stipulated, the “city moats” are to protect the area against Tibetans from the “four main Tibetan regions”, and within these “city moats” we find the city of Lhasa, which Tibetan people are not allowed to enter. So these “city moats” – this usage of the past in the present – are very similar to the long and narrow Gaza strip, they serve as a synonym for ethnic segregation; even those who don’t know about the situation in Tibet, when hearing “city moats”, will be able to sense the smell of gunpowder and violence in the air. What makes today’s city moats different from ancient ones, is that with Lhasa at their centre, they encompass all security checkpoints at motorways, railways and airports. Not long ago, a monk from the extremely remote Mili Region (today located within the Liangshan Yi Minority Autonomous Prefecture in Sichuan Province) who went to Lhasa on pilgrimage was detained by airport police at Gongkar Airport, requesting him to provide certificates from the local security bureau, from the Committee for Ethnic and Religious Affairs as well as from his monastery. However, when these entities agreed to issue certificates, the airport police refused to accept the copies that had been faxed over and continued to insist on the deportation of the monk. After remaining in detention at the airport for three days, the monk had no choice but to buy an air ticket and leave with deep regrets. In contrast to this stands the story that a Tibetan posted on Weibo about his nephew who wanted to cycle into Lhasa with some of his Han Chinese classmates. When they were stopped in Umatang Township, Damshung County, the Han Chinese could pass without problems whereas the young Tibetan was put through a lot of trouble: he was removed from his friends, forced to find a guarantor, made to provide certificates and put through security checks. Only then was he actually allowed to enter Lhasa full of fear, where he spent a few restless and frightful days. These kinds of stability measures based on ethnic division, give preferential treatment to one group but exercise extreme caution towards the other, this is not only a covert policy of ethnic segregation, it also nurtures antagonism within one ethnic group and serves as a catalyst of ethnic separation. He said another even more important sentence: “We are, however, also saying that if you continue along the road of apartheid and we cannot stop you, at the very least you will do so without our consent, our investments, economic, cultural and political agreement.” With regards to the current reality of the Tibetan people, not giving consent or agreement in these areas is relatively difficult, but in the past few years, there have nevertheless been a variety of essential non-cooperation movements initiated by ordinary citizens, such as “No Losar”, “Farming Boycotts”, “I Am Tibetan” as well as “Lhakar”.